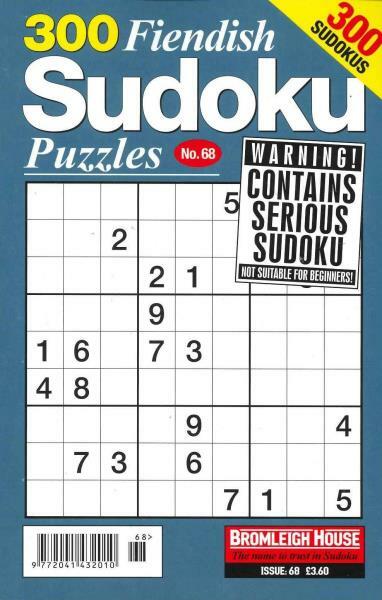 Buy a single copy or subscription to 300 Fiendish Sudoku Puzzles magazine. Like Sudoku Grand Masters, 300 Fiendish Puzzles is for the true sudoku expert. In a paperback book format this big bi monthly magazine also provides the perfect holiday companion for advanced level solvers.